We are happy to customize any of our designs at no additional cost with your choice of color(s) from our in-house swatches below. If you have a specific color that you do not see here, we can mix a custom ink for a flat rate fee of $75. Flat printing is not limited to any color. 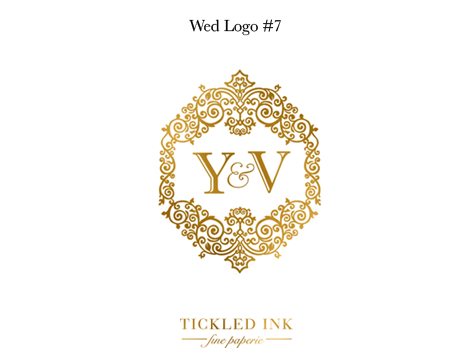 Please contact us if you are interested in foil, engraving, and thermography and we will provide you with a quote and a selection of the in-house colors for those printing types. The on screen swatches below may differ slightly from the letterpress color printed. 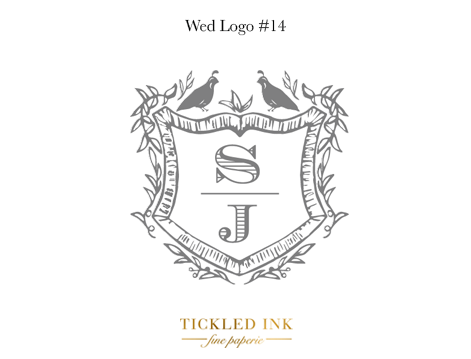 If you would like to see a sample of our colors printed, we are happy to email you a photo of the printed swatch, or we can mail you a printed letterpress color for a sample fee of $10. 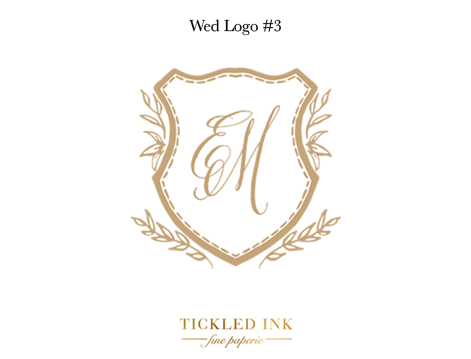 Monograms make your event memorable and are a great way to incorporate every detail of your wedding for your guests. 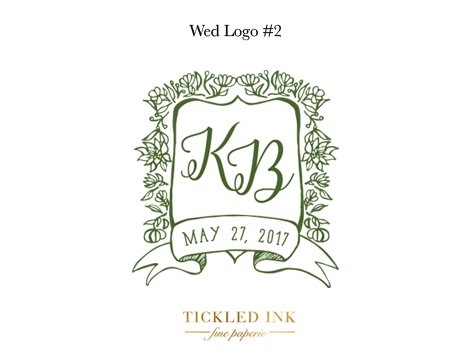 Below are some of our hand drawn monograms for sale, whether you want to purchase it for your own use ($150 unless it is a vintage monogram, which starts at $200) or have it printed on your invitation suite, napkins, cups, koozies, or any wedding paper products (there is no additional fee to use the monogram if you purchase everything through us). You can also mix and match font styles for a $30 set up fee. 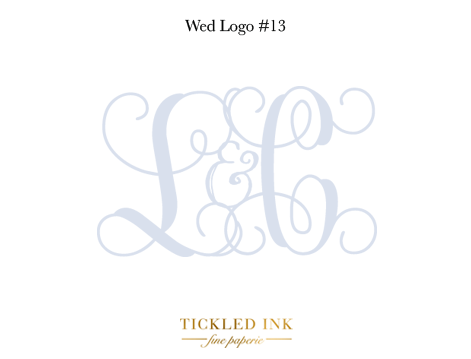 If you would prefer a completely new custom monogram, please contact us and we will provide a quote based on what you are looking for. Custom monograms start at $175 for the design time, and if you want to purchase it for your own use it is $150. 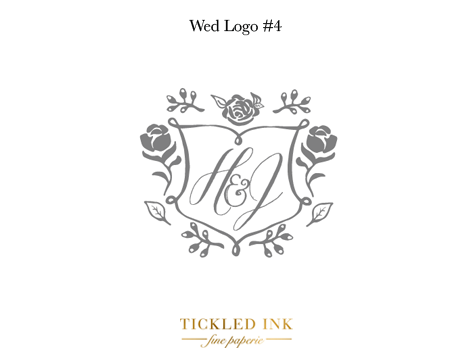 All the hand drawn artwork below is copyrighted by Tickled Ink and cannot be duplicated without permission from the designer. We can order most paper colors for an additional fee, and we have colored paper that match many of the ink choices (indicated underneath the color choice). We print our letterpress invitations on Crane Lettra 100% cotton paper. It is soft, tree-free, and luxurious. Crane Lettra comes in three different shades: bright white, pearl white, and ecru. Because we are also a custom design studio, we can order any other paper and color (just let us know what you have in mind), but these are our in-house choices. Tickled Ink can customize anything for your special occasion. We offer options such as 2 ply extra thick paper (as thick as a coaster) or up to 8 ply (thick as a board), larger invitation sizes, beveled edges, painted edges, backers (cardstock mounted to the back of the invitation with either 1/8 inch frame or flush), rounded corners, die-cut corners, pocketcards, pocketfolds, belly bands, envelope liners (with a custom pattern or solid color), wooden veneers, laser cutting, invitation boxes, the sky is the limit! If you have a vision, or are interested to learn what we can do to make your event even more extraordinary than you imagined, we would love to hear from you! Please contact us for a custom phone consultation and we will provide you with a quote based on your quantity, printing, and additional upgrades.